A DIN (Deutsches Institut für Normung) é uma associação sem fins lucrativos e está estabelecida em Berlim desde 1917. DIN oferece as partes interessadas uma plataforma para o desenvolvimento de normas como um serviço para a indústria, o Estado e a sociedade como um todo. A tarefa primordial do DIN é trabalhar em estreita colaboração com as partes interessadas para desenvolver normas baseadas em consenso que atendam às exigências do mercado. Aproximadamente 26.000 especialistas contribuem com suas habilidades e experiência para o processo de normalização. Por acordo com o Governo Federal alemão, DIN é o organismo nacional de normalização que representa os interesses alemães em organizações de normas europeias e internacionais. Noventa por cento dos padrões de trabalho agora realizado pela DIN é de natureza internacional. A parte comercial é feita pela Beuth Verlag, subsidiária DIN, que é um fornecedor de serviço completo de informações técnicas para todos os setores e profissões. Fornece normas técnicas nacionais e internacionais bem como os serviços de informação multimídia para empresas de todos os tamanhos, organizações acadêmicas e de pesquisa, associações de classe, prestadores de serviços e demais comércios. Como distribuidor oficial a Nortec está autorizada a comercializar todos os produtos que a Entidade possui. Para pesquisar todas as normas DIN utilize o sistema de busca ao lado. O Código AD 2000 estabelece em pormenor as especificações essenciais de segurança necessárias para a conformidade com a Diretiva de Equipamentos de Pressão Européia ( 97/23 / CE) . Isso o torna uma ferramenta indispensável para a aplicação prática dos requisitos de segurança relevantes. The world demand for steel grades with specific properties continues to grow, with outsourced manufacturing and international markets increasingly requiring transnational comparisons of materials. 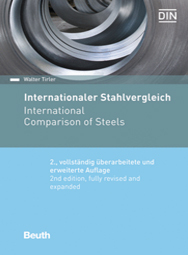 The bilingual (German and English) “International Comparison of Steels”, published by Beuth Verlag, compares, in tabular form, over 1,600 international steel grades of the world’s most important steel producing regions. · a greatly expanded data inventory that reflects the latest in technology. · details of all relevant national and international standards. 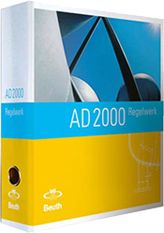 DIN 485-2:2016-10 – Aluminium and aluminium alloys – Sheet, strip and plate – Part 2: Mechanical properties contains a number of additions and corrections relating to the properties of wrought aluminium and wrought aluminium alloy sheet, strip and plate for general engineering applications. Part 1 of the standard, dealing with technical conditions for inspection and delivery, has been revised and published at the same time as Part 2. 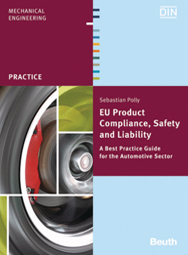 The book EU Product Compliance, Safety and Liability will be a best practice guide outlining the EU product liability and product safety framework with a focus on the automotive sector. 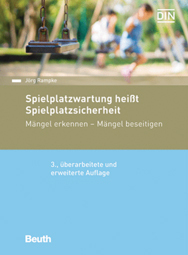 With respect to product liability, the book will focus on the European Product Liability Directive and its strict liability regime. Furthermore, in order to provide a complete treatment of any product liability aspects, the book will also discuss product liability claims based on contract and general tort law principles. 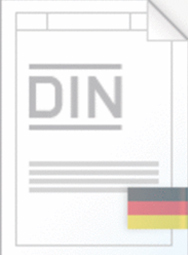 This DIN Handbook 476 contains all relevant ISO Standards as well as the DIN National Standards which deal with keyboard design. Personal computers, notebooks and tablets as well as small screen devices such as smartphones offer a great variety of input devices. However, the human factor has not changed and ergonomic considerations have never been more important. Modalities such as typing, writing, clicking, pinpointing, gestures on and above devices are now all possible and have to be taken into account. 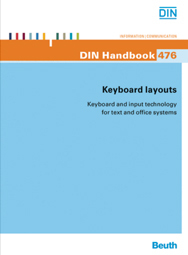 The standards included in this DIN Handbook 476 not only set out the ergonomic principles for the design and use of input devices; they also deal with the properties of input devices which are relevant for usability, including functional, electrical, mechanical, maintainability and safety related properties. This collection of standards is an essential source of information for programmers, software developers and hardware manufacturers.